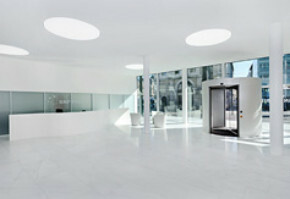 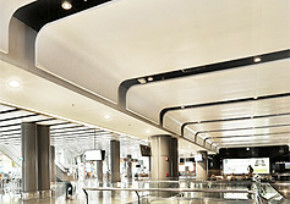 Characteristic for the elegant open metal ceiling LOOP are its typical curves. Arranged in rows round openings define the jointless ceiling image and provide optimum gearing of the individual ceiling elements with their soft rounded contours. 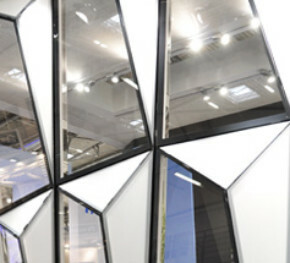 5 mm deep openings create a three-dimensional visual effect for the system and support the screening of the ceiling void. 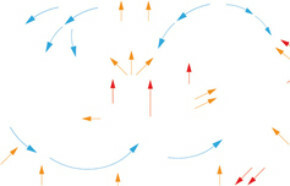 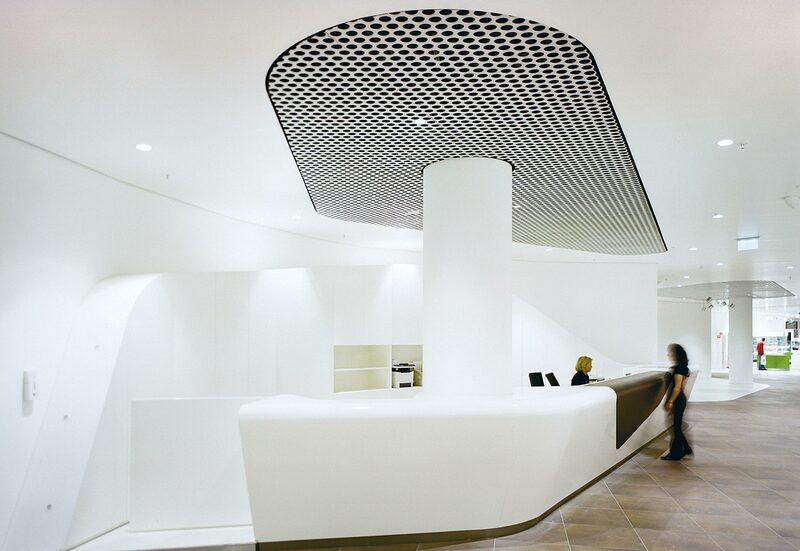 LOOP has a free cross-section of more than 50 % which is distributed evenly over the ceiling surface. 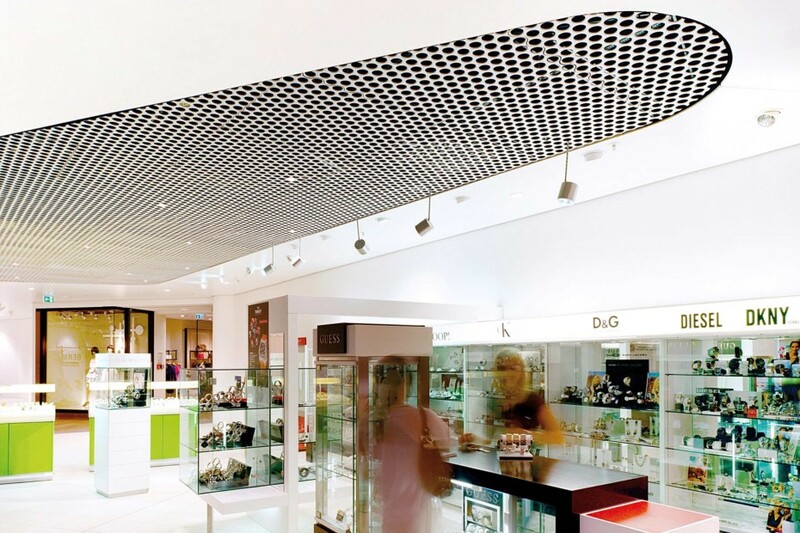 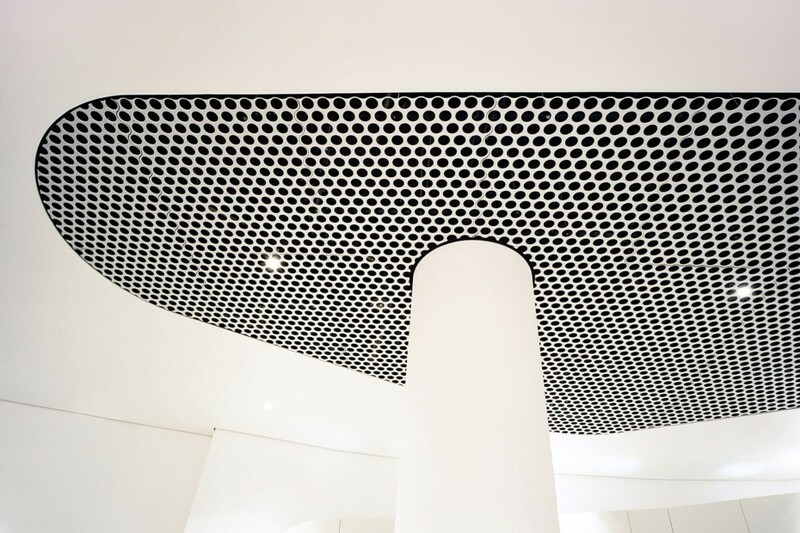 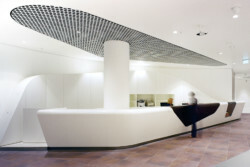 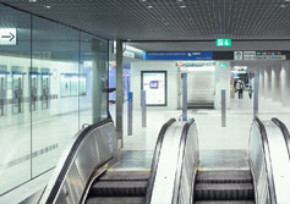 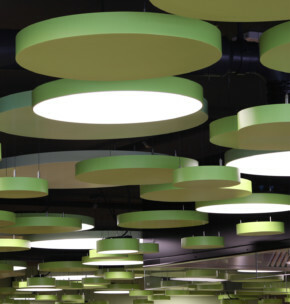 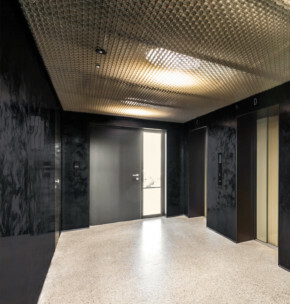 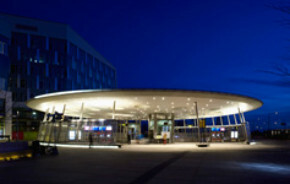 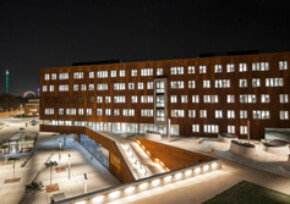 A closed acoustically efficient ceiling solution can be obtained, for example by inserting ceiling elements with perforated coloured metal blanks and acoustic felt. 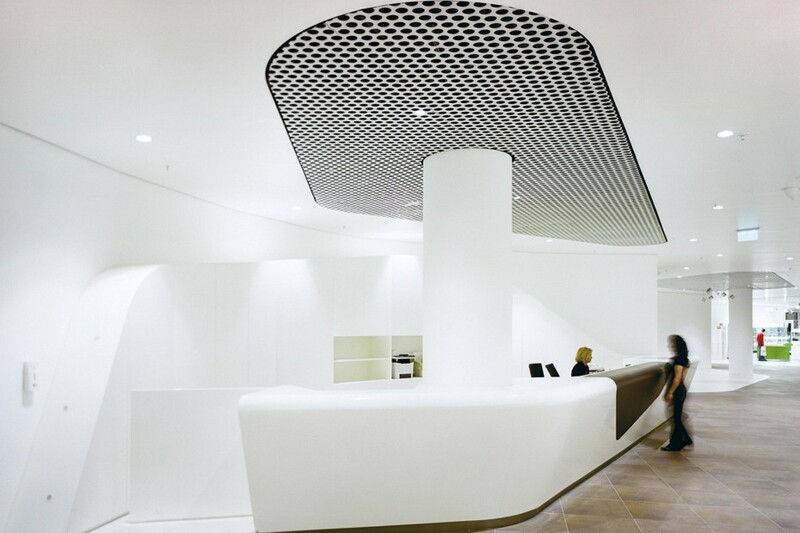 The curves of LOOP are especially suitable for integration of the LED-based PUNTEO-J downlights which can be used not only to illuminate the rooms but also to create accent lighting without visual disruption of the ceiling image. 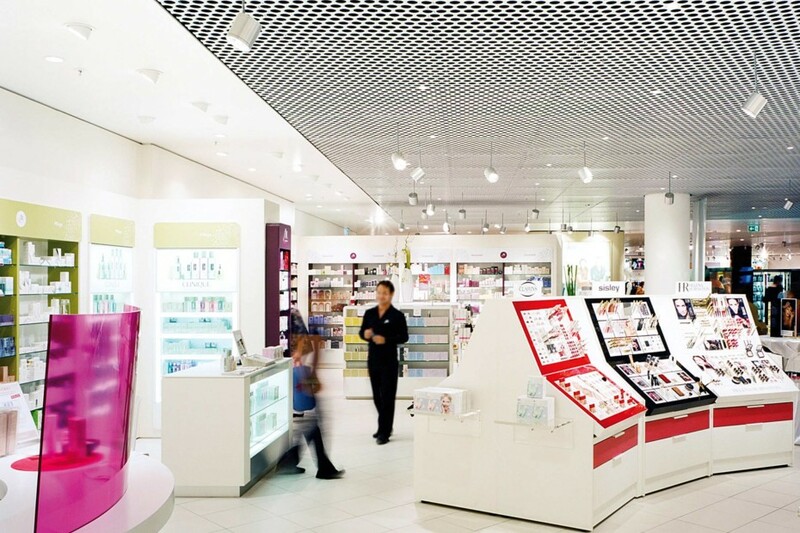 As a manufacturer of metal ceilings and lighting systems durlum also offers complete ceiling-lighting combinations.